The Gran Turismo game series is one of the most iconic racing games on the PlayStation consoles and many, many manufacturers have been part of their lineup for players to enjoy on all kinds of race tracks. Among the cars from the past and the present, many carmakers add their designs for the future, ones that may not be possible today but can definitely exist and race in the virtual world of Gran Turismo. 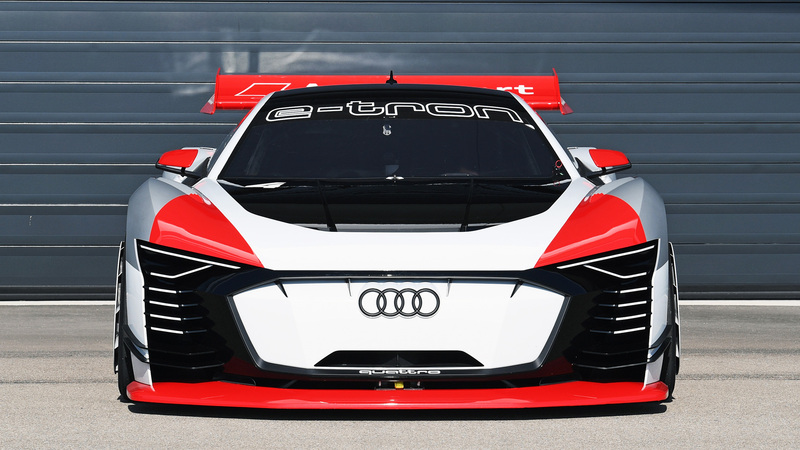 These concepts are often suffixed by the term Vision Gran Turismo and after many years of waiting, Audi has joined the club in spectacular fashion – with the Audi e-tron Vision Gran Turismo concept racecar. 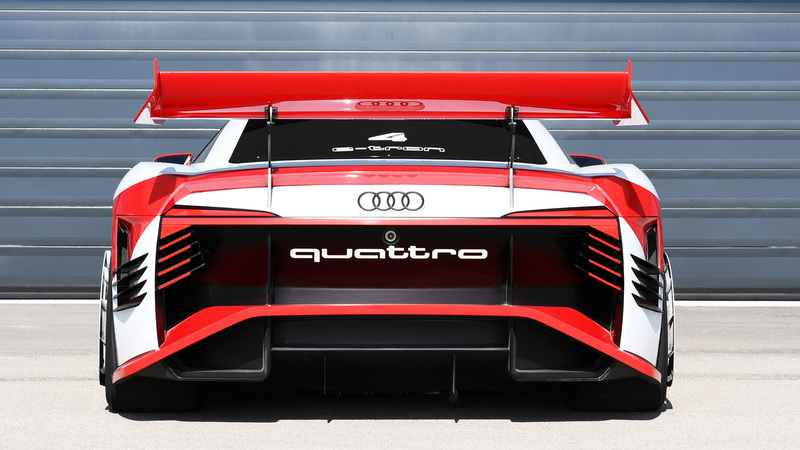 What makes this one really special is that Audi actually built a fully functional all-electric racecar exactly like the one they designed for the new Gran Turismo Sport video game. These VGT cars are usually categorized as Gr. X models for their uniqueness and we are currently doing a series on those cars on our YouTube channel, which you can check out here. 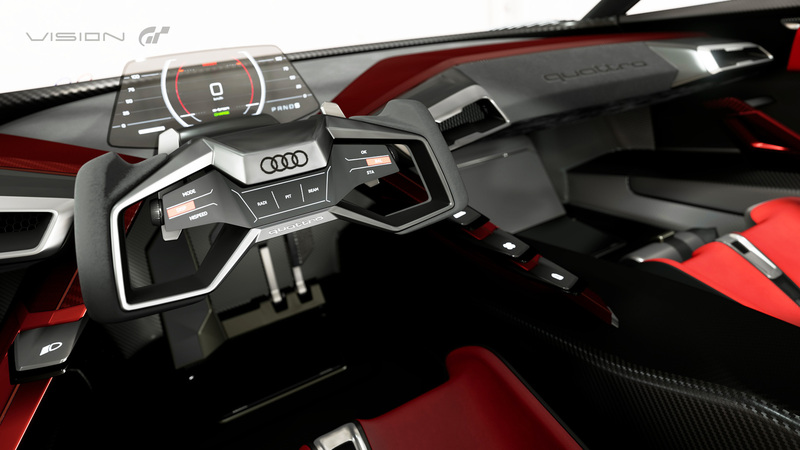 But what is that made Audi build a car that goes beyond the world of pixels and code? Well, the automotive world is undergoing a major shift in driving technology, primarily the switch from ICE to EVs and Audi is also looking to add all-electric cars to their model lineup like their fellow OEMs. The brand even joined the Formula E single-seater electric racing series as a factory team in the ongoing season and have put their tech to use in this new e-tron Vision GT concept prototype. Under its track focussed body kit lie three electric motors 200kW each for a combined output of 805bhp but there is no word on the torque output yet. Two electric motors drive the rear axle and the third one the front axle, giving the car permanent all-wheel drive with variable power distribution through an advanced Quattro setup. It has a kerb weight of 1,450kg with ideal 50:50 weight distribution and can manage to launch itself from standstill to a 100kph in under 2.5 seconds. Gears? None. Just a single speed setup as is standard in most fully electric vehicles which means the power is direct and instantaneous. In terms of the race kit with the aerodynamic elements all around, the cooling vents, the wheel covers, the louvres, the air vents and ducts and the massive rear wing, it definitely looks ready to take on any racetrack. 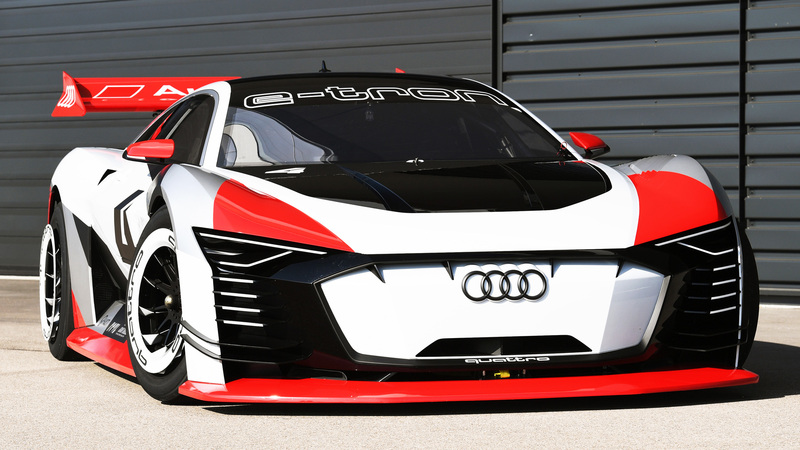 It even wears a livery that pays homage to the iconic Audi racecar from 1989, the Audi 90 quattro IMSA GTO. And that’s the coolest part about this concept car – THERE’S A REAL RUNNING PROTOTYPE OF IT!! But this prototype isn’t just going to be an R&D toy for the boys and girls at Ingolstadt, nope. It’s going to be the race taxi at all the Formula E races in Europe and at numerous other events in 2018 with two epic drivers behind the wheel – former DTM racer Rahel Frey or Le Mans winner Dindo Capello. 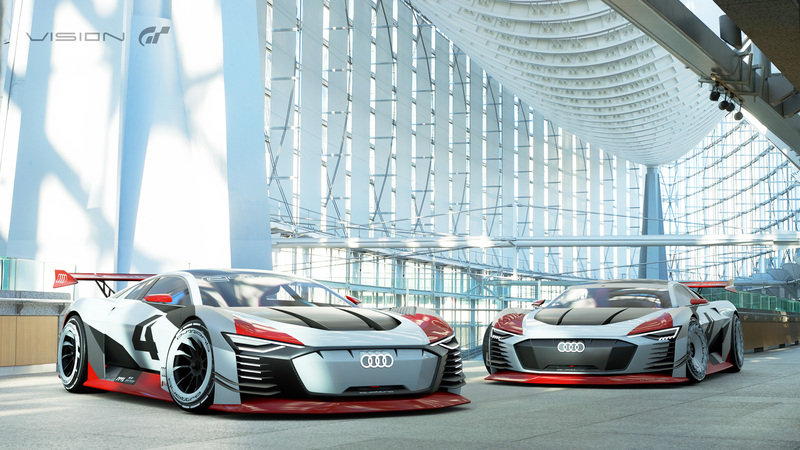 Share your thoughts on the Audi e-tron Vision Gran Turismo in the comments below the gallery.